Close up at the Roasted pineapple Tart with Vanilla Yogurt Bavarian. 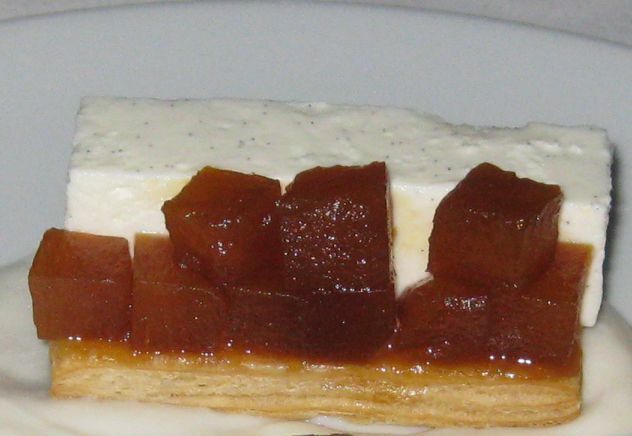 The puff pastry and the roasted pineapple were perfect together and the addition of the yogurt Bavarian added the perfect acidity to the dessert. 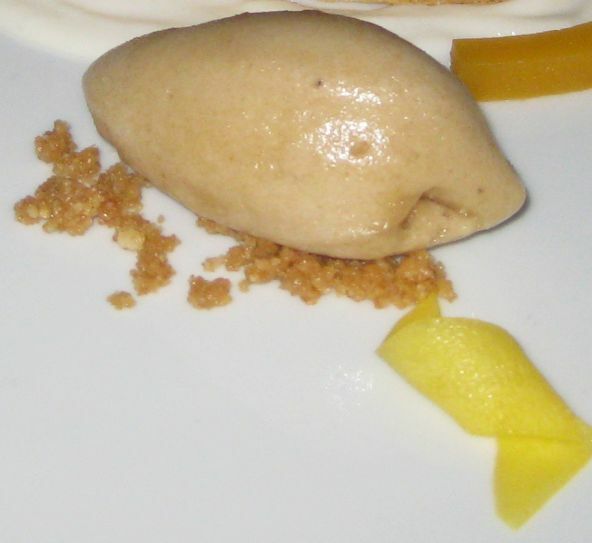 Close up look at the Banana Sorbet. The sorbet was very tasty! 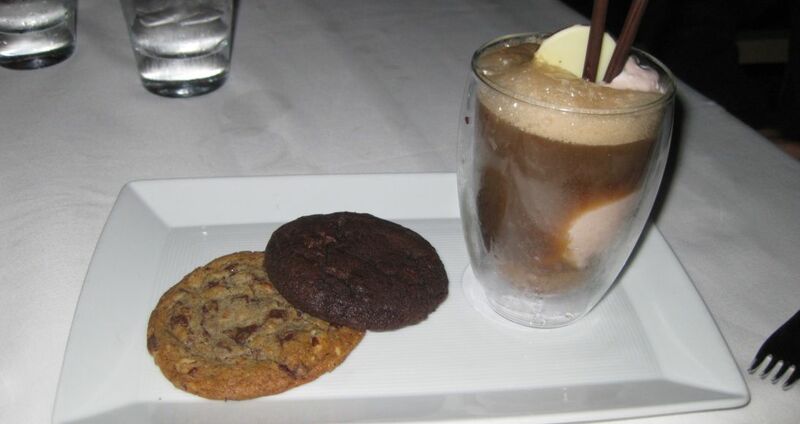 Michael Mina's signature Root Beer Float served with Warm chocolate chip cookies. 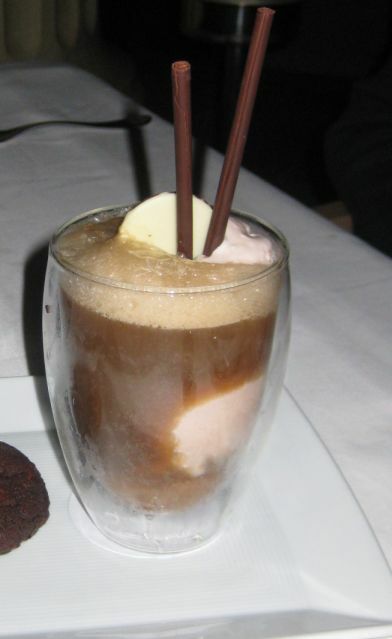 Close up at the root Beer float. The chocolate cookies came warm and they are so delicious that Kevin reluctantly agreed to let us take a bite! View of inside the chocolate mousse cake. There are 3 layers, the bottom is a chocolate cake, a chocolate mousse enrobed in a layer of chocolate ganache sprinkled with sea salt. I was really surprise when you put a bit of the chocolate mousse cake in your mouth, first you get the creaminess, the richness, then the sweetness of the chocolate and then suddenly it took me by surprise to get a bit of crunch and saltiness from the sea salt. Hoa and I we thought this dessert was amazing! Dining at Michael Mina is an indulgent exploration of the senses with the seductive aromas that swirl over each plate! We had a great dinning experience. 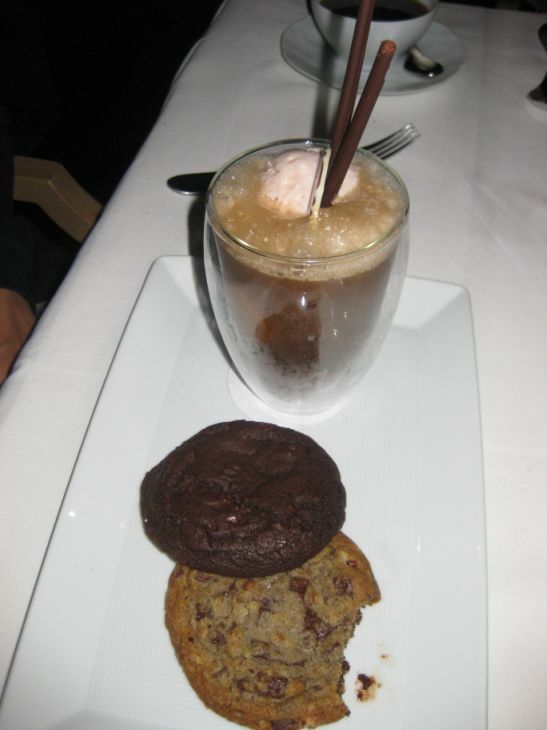 We all loved our desserts and they were amazing! 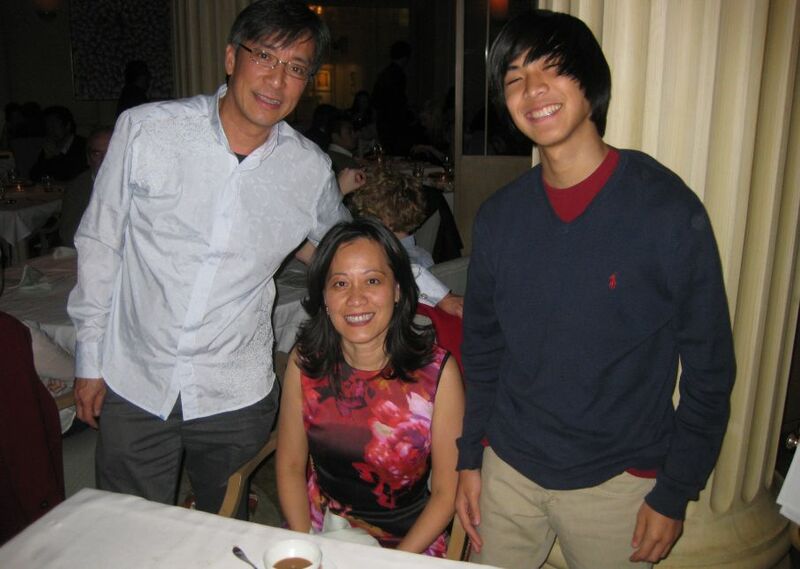 We all agreed that the Foie Gras was the best dish, followed by my fish trio. We all love our the Entrées from course one, better than our main dish from Course 2. The main dish was very good but the Entrées were pretty extraordinaire! We walked out of the restaurant happy to have such a wonderful dinning experience and Hoa and Kevin made my 50th birthday a memorable one!